Customer Service: Each customer account is assigned an Account Manager in order to provide single source communication which in turn allows for better responsiveness. We pride ourselves in being able to provide real time delivery status which allows our customer the ability to schedule their projects more accurately. Quality: An extensive array of quality control equipment ensures that the finished product matches your specifications exactly. As an ISO 9001 shop, we continually strive for improved manufacturing methods. We provide a trained and dedicated staff to ensure any reporting or traceability that you may require is provided. 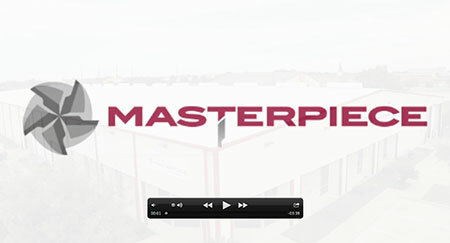 On-time delivery: Masterpiece Machine uses an ERP system designed to provide accurate delivery dates, efficient work order routing, and provide accuracy in our inventory system. Our ability to keep almost all of the manufacturing process “in-house” enables us to better control the delivery schedule.